I’ve been doing some soul searching, trying to figure out why I’m a bit of a workaholic. I’ve always had a strong work ethic, and I enjoy being a good employee, but there was something more to it. Ever since I became self-employed, I’ve been trying to earn more each month. I started from $0 and reached my highest earning point just last month. No surprise – I realized I have a slight addiction to earning more. When the earning power is in your hands, it’s hard to scale back. The most I ever got paid at a day job was $14/hr. However, I also wasn’t working over 40 hours a week, and I’ve definitely surpassed that now. Why is earning more so important to me? Because I’m sick of my student loan debt. Every month I earn more means making more of a dent in my balance. I know I’m not alone, either. 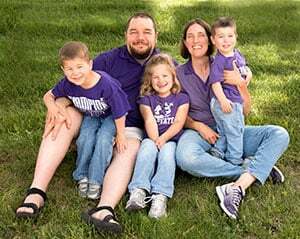 The inspiration behind paying off my student loans early came from other bloggers who paid their loans off in three years or less (and they owed more than I did). 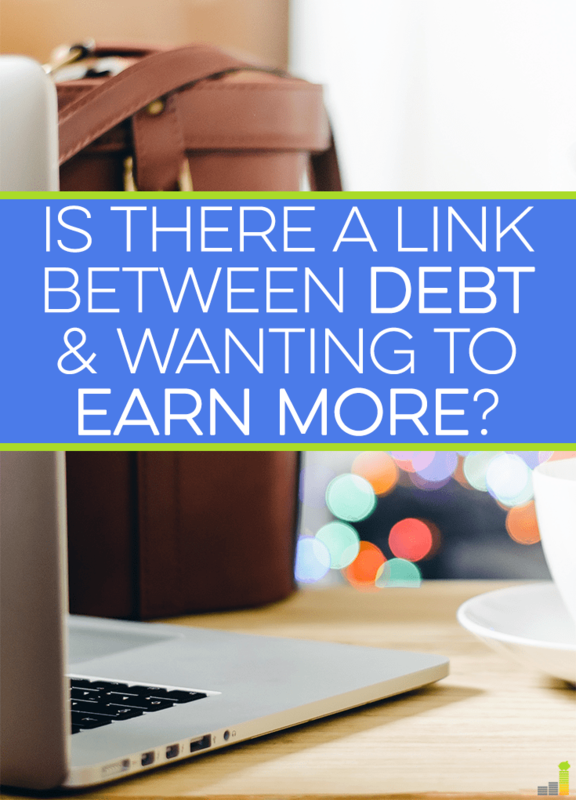 This has led me to wonder – is there a strong link between being in debt and wanting to earning more? Let’s explore. Back when I was receiving a bi-weekly paycheck of around $800, I did everything I could to work overtime so I could put more money toward my student loans. Working a little extra each week never bothered me. It was worth it to see my balance drop faster. 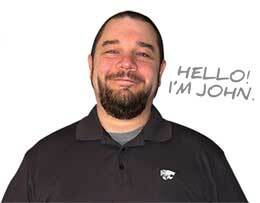 However, when I left my job and switched to self-employment, I had to start from scratch. (I relocated due to my fiance getting a promotion.) I knew building up my business would be rough, even with savings. As a result, I made little to no progress on my student loans for several months. When I started making what I had been at my last job, I ramped up my efforts. When I made double that amount, I wanted more. Of course, killing yourself by working more just to pay off debt isn’t always sustainable. Some would argue it’s not worth it, while some would argue it’s necessary. There are some financial gurus and bloggers out there who state debt should be treated like an emergency. That means prioritizing it over everything else, including saving. While some people side hustle to increase the amount of money they can save, I think debt can be a stronger motivator to earn more. Psychologically, it’s a bigger deal than saving because it’s costing you more. You know interest is accruing every day, and it’s also costing you freedom because you owe an institution. Your paycheck doesn’t entirely belong to you. There’s more urgency when you want to pay off debt, and that can lead to things like side hustling, working overtime, cutting back, and doing whatever else it takes to get more money going toward your monthly payments. The thought of working for myself had never crossed my mind before I started blogging. I had never heard the term “side hustle” used before then, either. Once I started reading finance blogs focused on paying off debt, I realized one thing: lots of people were working over 40 hours a week doing something in addition to their day job so they could pay off their debt quicker. Duh. I had been stuck in the mindset of “cut back on everything!” because I figured my earning potential would never amount to much. That was a mistake. Now I can safely say I see why some people elect to take this route. Once you’ve cut back on everything you possibly can, you need to focus on the other side of the equation. Figuring out where you can spend less and save more is addicting for some people, and earning more is addicting for others. For those who aren’t happy with their debt situation and are actively trying to get out of it as fast as they can, earning more is one of the most effective ways to do it. Is Earning More Worth It? I think a case can be made for there being a link between being in debt and wanting to earn more, but does there have to be? Of course not. As with most things in personal finance, there’s no 100 percent right or wrong answer. While I don’t like being in debt, I know I haven’t gone to the extreme lengths others have to pay off their loans. There are people working 90+ hours a week at two or more jobs, and that’s not exactly something I’m willing to do. Everyone has their own limits, and it’s important to know yours, especially when it’s so easy to get carried away focusing on one goal. Debt is a very emotional thing, and it can be the driving force behind a lot of our financial decisions. However, after working so much to earn more, I’m not sure it’s truly worth it. I would love to be debt free sooner, but sacrificing my mental health at the expense of working so many hours and tiring myself out in the process hasn’t been fun (or healthy). Yes, it might be temporary, but I’ve been keeping up this pace with work for close to a year and am slowly losing steam. I admire anyone who can do it, but just because there are people out there paying off debt at a rapid rate doesn’t mean you need to be one of them. It’s important to have a life worth living, even when you’re in debt. There are plenty of free things to enjoy, and you shouldn’t feel pressured to earn more at all times to increase how much you’re able to put toward your debt. Everyone should travel at their own pace instead. It’s okay if you don’t make as much progress one month – take a long view of your journey and I’m sure you’ll be proud of what you’ve been able to accomplish. 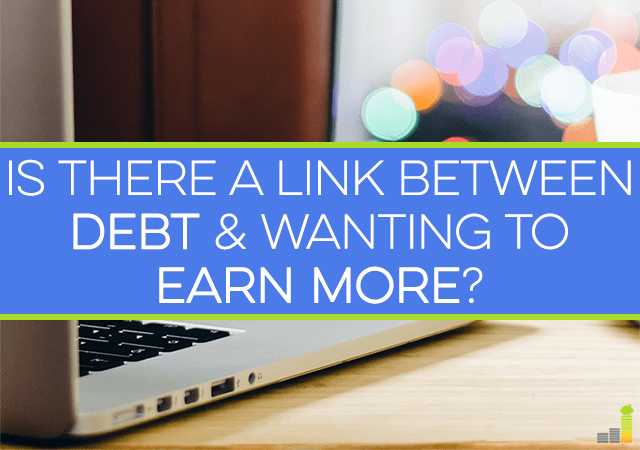 Do you think there’s a link between debt and wanting to earn more money? Have you experienced this? Were you able to sustain it? Do you think hurrying to pay off debt is worth the sacrifice? I really wanted to be debt free and last month, I just started to invest. I’m also looking for more job to have an extra income. That’s great, Clarisse! The hardest part is usually taking action. Great article. For me, the answer is YES – absolutely. I have never wanted to earn more. I spend all of my free time trying to earn more. If I weren’t digging myself out of massive law school debt, I’m sure I would not be motivated to earn more like I am now. Definitely agree. If I didn’t have student loan debt, I would be fine saving what I could. I don’t think I’d have the same motivation to earn more. I think anytime that there is a definite link between feeling money stress and the desire to make more money. I think that cutting back is the most obvious first step, but earning more is actually more sustainable in my opinion (unless you are really committed to a well designed, low cost lifestyle). I think so, too. For so long I didn’t, only because that’s the path my parents took. They never really tried to earn more, they just didn’t splurge. I’m so glad I realized there’s more potential in earning more. I think there is a link there, but not necessarily for everyone (isn’t that the answer for everything in personal finance?). Just because you have debt doesn’t mean you are going to want to earn more. It comes more into play when you have a mindset of wanting to get rid of debt. Otherwise, if people are habitually in debt, they are more worried about earning more to keep up their lifestyle, not necessarily because of the debt. That is definitely the answer for everything in personal finance! As I was writing this post, the other part you mentioned came to mind. I see a lot more people working just for a paycheck because they’re in a perpetual cycle of debt. Neither is healthy, though. The answer is most definitely YES! When I was in debt, I was making goals left and right just to get rid of it. Heck, I paid off my $54,500 mortgage in a single year! There was definitely motivation there when I was in debt. The trick is, once you get out of debt, how do you carry that motivation into investing? To be quite honest, I’m still figuring that one out. While I’m still saving money and investing for my future, I no longer expend my mental energy every day thinking about how to earn more money. Is this bad? Or is it good? As I ponder, I realize that I probably shouldn’t be thinking about money every day anyway. What do you think? Wow, awesome job on paying off your mortgage! I completely agree that it might not be the healthiest thing to be stuck on money everyday. This is something I’ve actually been working on, as I tend to obsess over the little things. We have to pick our battles when it comes to finance, otherwise we’ll end up mentally exhausted, and have *no* energy left! That said, I’ve seen people do great with setting goals when they have a specific target (vacation overseas, for example). “Saving for retirement” sounds good, but it helps when you have a numeric goal to go after, like maxing out your IRA (a set $ amount each month). If you know you need $500 per month for that goal and only have $300 to spare, you might find the motivation to earn the extra $200. I think the answer is different for everyone. For me the link is because of debt and also wanting to have financial freedom. I realized the only way for both of those to happen is to make more money. In my opinion it is worth the sacrifice. A couple years of sacrifice could mean a lifetime of success. Yes, financial freedom is also a huge motivator to earn more! I’m all for living more simply to save more now so I can have freedom later.